Solider Meadows Ranch and Lodge began as the summer headquarters of Fort McGarry in 1865, with soldiers wintering up at Summit Lake. The fort was established to protect pioneers using the Applegate Cutoff and manage situations with the area's Paiute Indians. At one point, the fort boasted of 174 enlisted men, 2 officers, and a barn with room to saddle 100 head of horses. After the post was moved to present-day Paradise Valley, Nevada, the fort embarked on a rich ranching history. It was inhabited for a short time by squatters though it's first ownership was by Hugh Glenn (California business man in which Frenchglen, OR is also co-named.) Eventually he sold to the famous cattle empire of Miller and Lux, and it has continued as a working cattle ranch ever since. 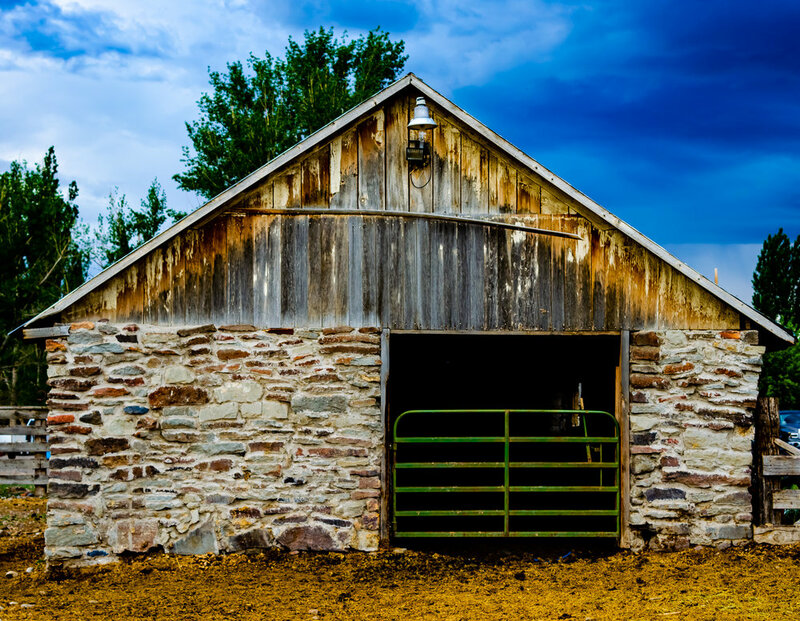 Though the face of the barn has changed over the years and most of the rock fences are now gone, the enchanting quality of this land and deep-rooted history will remain forever embedded. Website and photography by Branded in Ink.